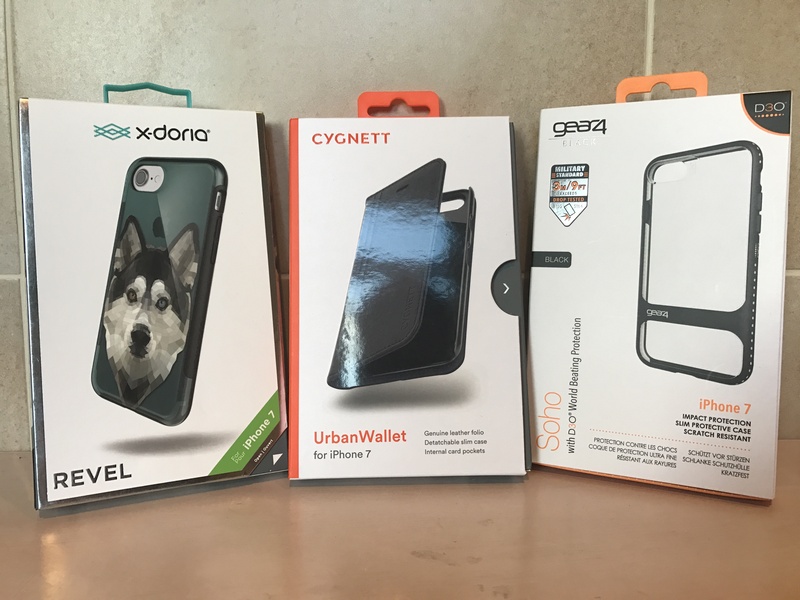 The latest launch from Wraps, the Core series has been launched. 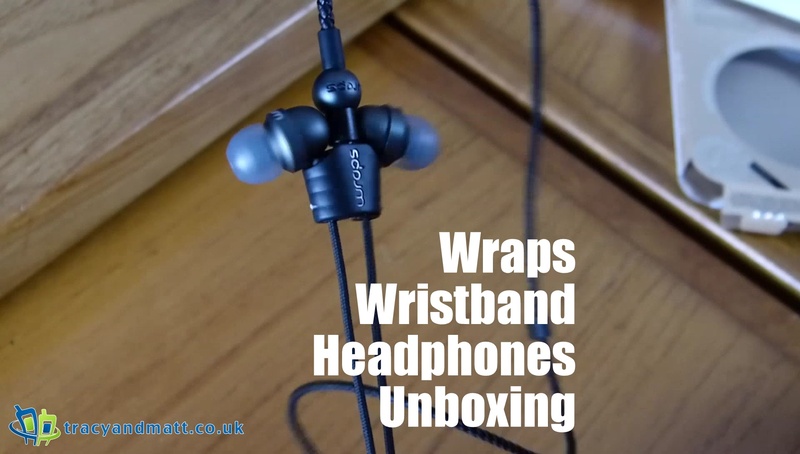 You may already be aware of their wearable wristband earphones but now they have produced a premium high fidelity series with titanium speakers. The CORE earphones are available in space grey, silver, rose gold and gold so there is a Wrap to suit everyone with great style AND premium sound. Following the hugely successful launch of its BravoWin and EliteWin 2-in-1 affordable notebooks in the UK earlier this year, premium audio and video manufacturer Venturer is pleased to announce the next models in the series; the BravoWin S and EliteWin S. Both Mini Notebooks have a stylish new build with a tactile soft touch feel exterior and more storage capacity than the earlier models. The BravoWin S is available in an attractive shade of blue and the EliteWin S in a sleek gun metal colour and both will be available to purchase from Amazon in December. Easy to use and incredibly durable, the new Venturer 2-in-1 Mini Notebooks are ideal as a first computer for students heading to secondary school, college, university or even home use. Like the earlier models, the new 2-in-1 Mini Notebooks are equipped with Windows 10 and Office 365 or Office Mobile (model dependant) and both models now have increased memory space. While BravoWin S has 64GB Flash memory, EliteWin S has a total 96GB of memory (32GB Flash memory plus a 64GB Micro SD Card included free of charge), vastly improving its storage capacity. With the new sleek soft touch, light weight design with soft curved edges, and long battery life, the BravoWin S 10KR or EliteWin S 11KT are ideal for work or entertainment on the go with up to 8 hours usage whilst travelling. Unlike other more expensive tablets on the market, the Venturer convertible notebooks are equipped with a detachable smart keyboard that has a pressure sensing trackpad which clips on magnetically so it can be used as a stand-alone tablet or quickly transformed into a working laptop, making it easier to type, work and surf the internet. With an Intel Atom Core Quad Core processor with an impressive 64GB and 96GB memory for the BravoWin S and EliteWin S respectively, the new models offer a quick and responsive user experience. Both have the ability to access the internet within seconds and an expandable storage space for photos, videos, music and work files. The 2MP dual cameras at the front and rear allow you to take photos or videos, skype your friends or make a conference call at work, producing good quality images and videos. The BravoWin S 10KR has a 10.1” 1280 x 800 display and comes with all the key software from Office Mobile you require, including Word, Excel, Powerpoint and OneNote. The EliteWin S 11KT has a larger 11.6” screen with 1366 x 768 display and is fully loaded with the latest Windows 10 software and a month’s free trial of Office 365 (Word, Outlook, Excel and Powerpoint) making it an ideal laptop for any school or office environment. With headphone, micro and regular USB ports to attach or charge other devices and an HDMI output allowing you to easily connect to your TV for an enhanced viewing experience, the Venturer tablets have all the necessary outputs for a great multimedia experience. Priced at only £199.99 and £249.99, the new Venturer Mini Notebooks are the ideal choices for those looking for the flexibility of a tablet and laptop combined, for a lightweight device that easily fits into a schoolbag or work satchel but with the quality, reliability and durability for work, for play, for every day. Keep an eye out for Venturer’s other 2-in-1 notebook models designed specifically for business users due to be launched in early 2017. The Adam Elements iKlips duo is yet another in an endless stream of removable data solutions for the iPhone and iPad that seems to be hitting the market these days. They come in all shapes and sizes, capacities and colours, so what makes this one any different? And why the heck is it so frickin’ expensive? The model I have for testing is the 16gb model in bright red. 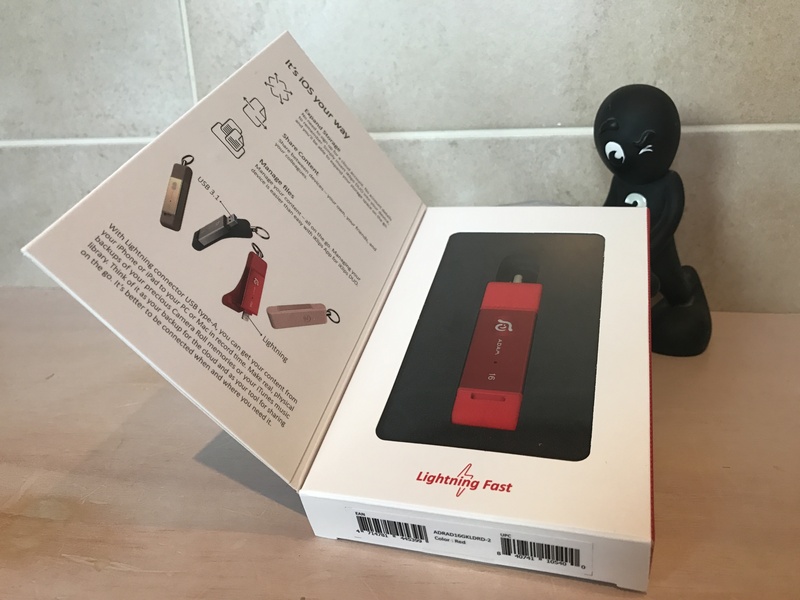 I know from the IKlips website there are other more sumptuous looking colour combinations which will perhaps assuage some of the £50 price concern, but this basic red on red plastic and silicone unit, whilst not unattractive, looks no different to me than the sort of cheap and cheerful stocking fillers you see everywhere. So first impressions are far from mind-blowing. The unit itself is a small double-ended device (hence the name) with a USB 3.0 connector on one side and lightning on the other. It fits easily, yet securely in a silicone holder, which initially seemed like a bit of a gimmick, but it is actually very functional, protecting the connectors and enabling you to attach the whole thing to a keyring. I will say that it does seem very well made and definitely feels a lot more solid than a lot of the standard fare. I was concerned that the device might fall out of its little silicone holster, but even with a good bit of pocket travel, this never happened. I removed the unit from its holder and tried to plug it into my iPhone 7, which currently resides in a fairly thick Gear4 drop “proof case”. This is usually where most of these devices fall, right at hurdle number 1. Thankfully the designers of the iklip were switched on enough to elongate the connector just a smidge – but that smidge makes all the difference! It’s a snug fit, but you can fully plug the iKlips into the phone without removing the case, this is a huge win for the device and I’m starting to take it more seriously. Now comes the acid test. As we’ve seen before, no matter how good the device is, if the supporting app isn’t up to snuff, it’s going to fail hard. Prompted to do so, I downloaded the iKlips app from the app store and was presented with a simple screen that looked similar to other generic apps I’ve seen before, showing the memory used on my phone along with options for Photos, Music, Videos and All files. There is also an Adam Elements logo in the centre which brings up the options menu. Fortunately, this is where any similarity between this app and the others ends. It appears simple, but as you delve into the various options, you just keep discovering more and more functions and capabilities. There has clearly been a lot of time and effort spent on this software and it shows. It is well laid out, the features make sense and there is a help function if you get lost. It even offers the ability to format the drive in either Fat32 or ex-FAT for you. Plugging the USB end into my PC, I tested the transfer speeds and it did not disappoint. It claims read speed of 140Mb and, while I couldn’t quite reach this number, I did come dangerously close. This is vital if you want to use the iKlips as a backup for your phone and don’t want to sit for hours waiting for your all important holiday snaps to transfer across. So to answer my own question, the thing that makes this one different is simple – you get a shed load of additional functionality. It’s not just a basic data holder, it is so much more. Of course this kind of thought, care and attention comes at a price. Whether or not that price is justified is, I’m afraid, entirely up to you dear reader. The Griffin Elevator is a very handy piece of kit to have if you have a laptop made from quality products and with a certain elegance and want to match that to a stand without breaking the bank. The Griffin Elevator really enhances the desk with minimal effort. Essentially, the Griffin elevator is two pieces of bent metal with some pieces of rubber set strategically in order to avoid any scrapes or scratches to either the desk or the bottom of the laptop. There a couple of pieces of clear plastic to hold things together. Most of the elevator screams quality. The main idea of the Griffin elevator is to lift your laptop to allow you to regain a little bit of desk space, in reality, this doesn’t quite work as there’s not much you can put underneath it save for a temporary storage for peripherals or documents. The elevator still occupies the space under the laptop with the legs and feet, however, it still gives you somewhere to put things in out of the way. Once used on the desk it’s quite difficult to go back as you realise just how much space you’re actually saving and it actually makes your laptop a great deal more comfortable to use. In an effort to make the elevator portable Griffin have added some transparent plastic to hold the supports together this can be removed and the elevator can be compacted down to fit in a laptop bag or suitcase to be taken with the user. One slight issue with this is that the transparent plastic used in the separator scratches is quite easily when the metal legs are removed and inserted. 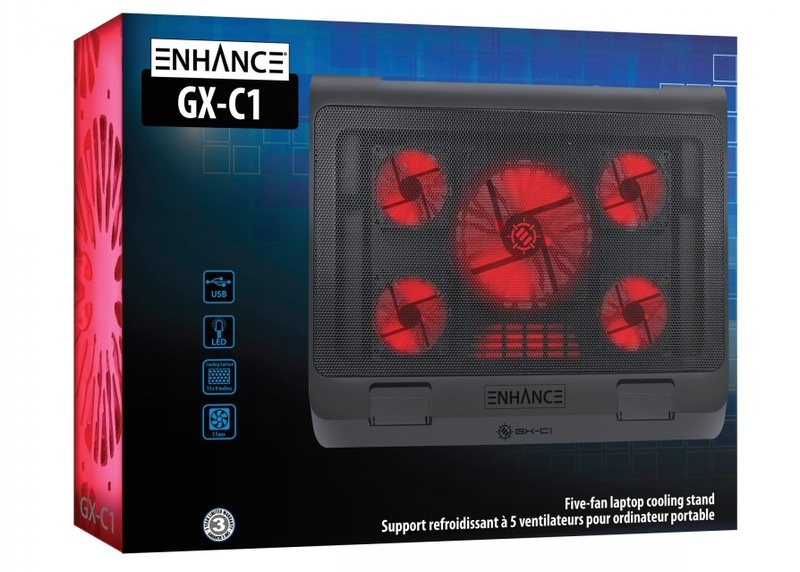 This is unfortunately quite visible because the plastic is transparent. It would have been nice to see some for a cable management built into the Elevator, detachable/interchangeable clip to support your laptop’s charger cable. Other alternatives on the market tend to be highly overpriced whereas Griffin has managed to get the combination of price and quality just right. Little issues like these scrapes are easy to overlook when you consider the price of this item. 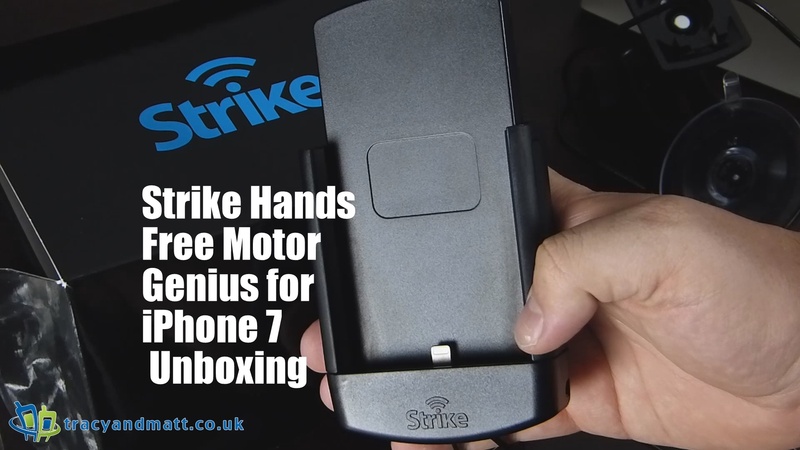 Secure your iPhone 7 whilst on the road with the new iPhone 7 Car Cradle from Strike! This phone holder is specifically designed and built by Strike for your iPhone 7. It has fast charging capability similar to an original iPhone charger with its built-in Apple lightning cable. You can now use your iPhone longer and access your mobile applications safely whilst driving with this Car Cradle from Strike! The internal passive antenna of this iPhone 7 Vehicle Mount & Phone Holder is specifically incorporated to improve your mobile signal once used with a reputable external antenna. The cradle comes with a FME male connector so it can be connected to an external antenna for additional signal boost. Easy DIY package, no need for to hire a professional installer. This iPhone 7 DIY phone holder is compatible with any Bluetooth car kits. Check out the professionally-installed car mount version here. Comes with a windscreen mount. Other mounting options can be purchased separately. 3 in 1 Smarter Solution: Secure, charge, and record. Use this Alpha Cradle and turn your iPhone 7 into a dashboard camera once a Dashcam app* is installed. Record your driving and charge your device simultaneously. Save costs, no need to purchase a stand-alone dash cam kit. Find out more about the Strike setup here. Forget potty training toddlers – older boys need training in toilet etiquette too… Enter Pisher! Launching in 2017 this device is the answer to all the wishes of parents of boys worldwide. It’s a new electronic toilet training device for kids. Many mothers will no doubt agree that they are fed up with the cleaning aftermath of their children going to the bathroom. 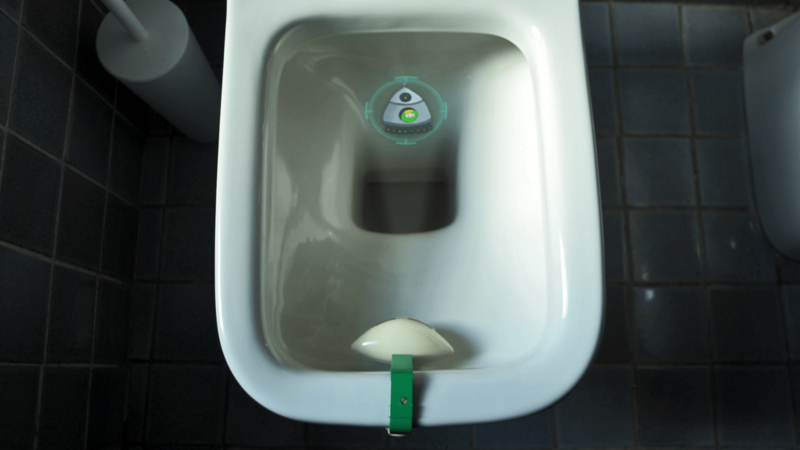 Pisher is the first electronic toilet training device for little and big boys, projecting a playful electronic target inside the toilet to capture your child’s attention and help them take aim, so there’s no need to clean up after them every time they take a trip to the bathroom. The idea came about in 2015 when best friends, Mira and Sarit, became exasperated with their continuously messy bathrooms. 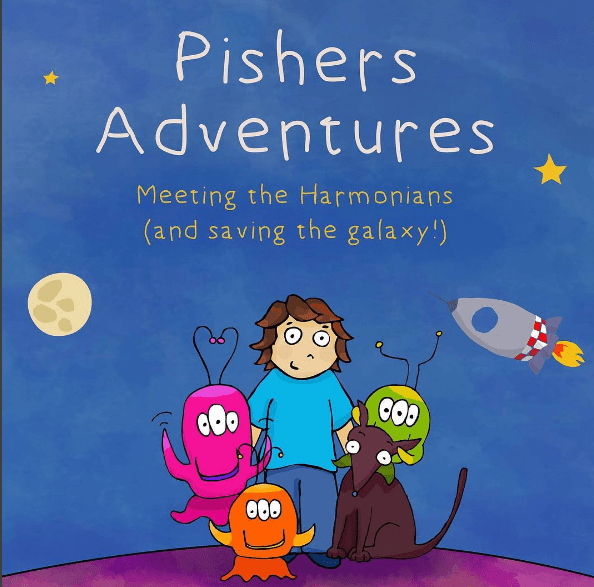 Together they co-wrote “Pisher’s Adventures,” an exciting children’s book about aliens visiting planet earth in search of fuel for their spaceship. Together with the help of little boy Pisher and his dog, Buddy, they discover a surprising solution to the alien’s problem… by peeing on the spaceship they have lift off! In conjunction with the launch of the book, Sarit and Mira also created the Pisher toilet training device. 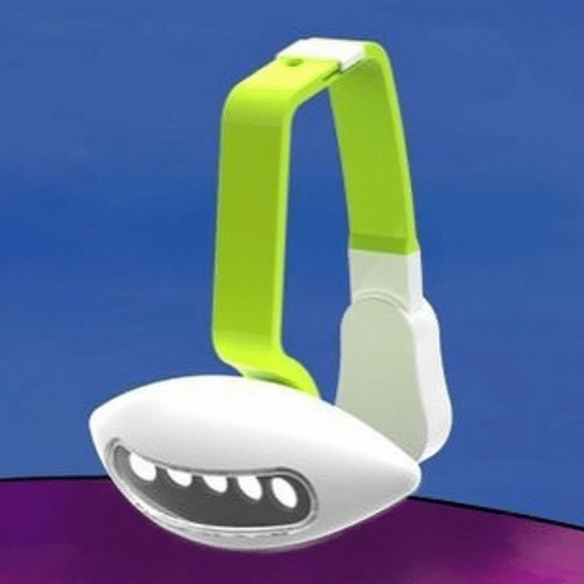 This ingenious invention is placed under the toilet seat (fitting to all types of toilets with its universal grip) and then, when the lid is raised a cheerful sound will be heard and an image, taken from “Pisher’s Adventures,” is projected on to the ideal spot for your little boy to aim. Children will then be rewarded once they’ve put the seat down (another important skill in life) with another congratulatory noise – mission accomplished! The usual boring challenge of toilet training is now transformed into a fun and enjoyable process for both you and your child. With every purchase of the Pisher toilet training device, parents will also receive a copy of “Pisher’s Adventures,” so the whole family can be entertained by Pisher and his adventures. Sarit and Mira are not only trying to ensure clean bathrooms worldwide, they’re also wanting to give back to others. In each Pisher package, you’ll also receive a Harmonia coin which your children can donate to a number of worthy causes on the Pisher website. So whether your passion is animals or helping less fortunate children you can make a simple donation and the money will be taken from Pisher’s own revenue. Pisher will be launching on Indiegogo at the beginning of 2017 to raise funds. Backers and the first 300 customers to their site will be offered a special reduction to only £39 rather than the retail price of £55. See www.pisher.net for further information. Griffin has sent a sample of their iTrip Clip. This little Bluetooth device cuts the cable between your smartphone and headphones to deliver some wireless freedom between your phone and some wired headphones. No headphone jack? NO problem! 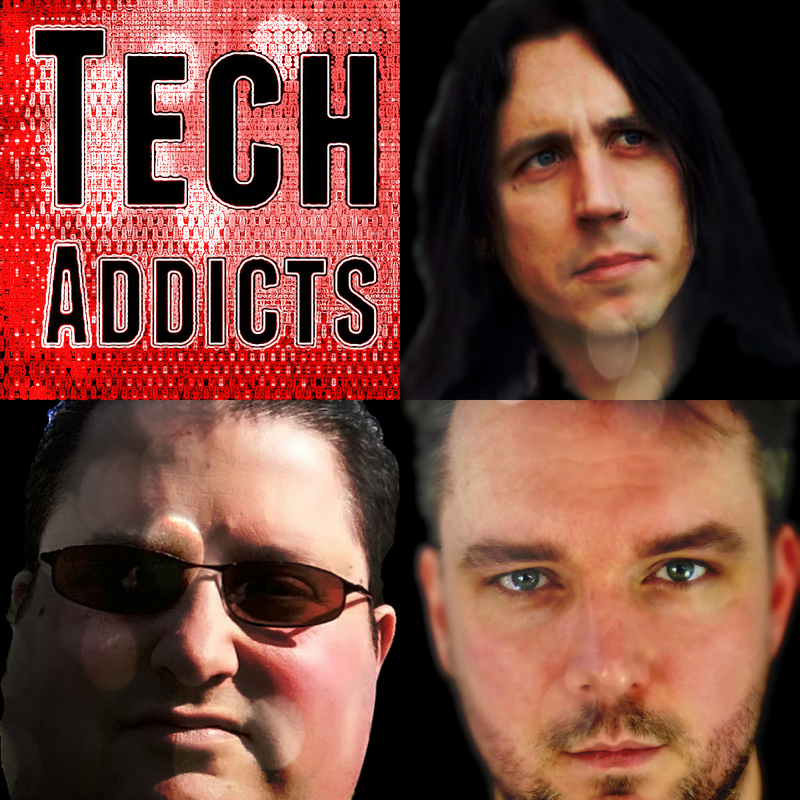 – Don’t worry if your favourite smartphone doesn’t have the headphone jack. 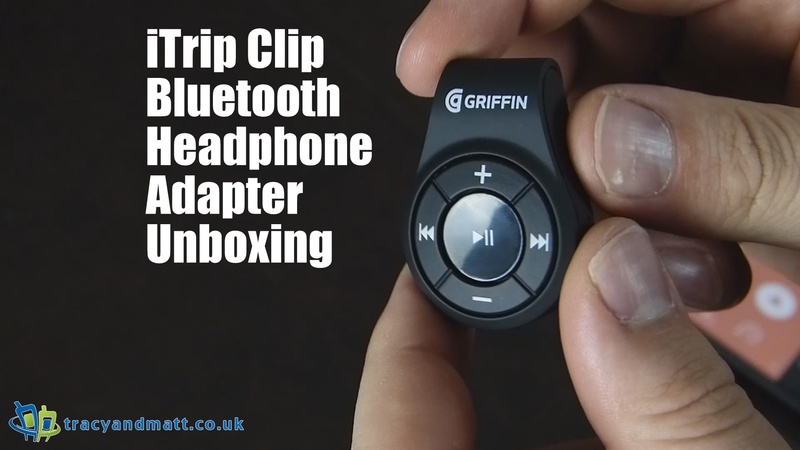 iTrip Clip connects your favourite headphones wirelessly to your smartphone or tablet using Bluetooth 4.1. Clip in and go — iTrip Clip’s built-in clip slips onto a sleeve, shirt collar, or bag strap for total control at your fingertips. We actually love iTrip Clip for running and outdoor activity because it’s small enough to clip onto a hat or visor. Wireless headphones, wireless in-car audio, wireless everything – Wirelessly connect your headphones, car stereo, or home audio system to any smartphone. Built-in handsfree mic is perfect for video and audio calling.